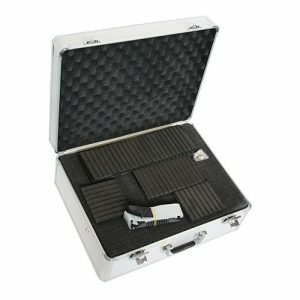 Deluxe aluminium flight case with robust metal handle, locking catches (2 keys included) and corner protectors. 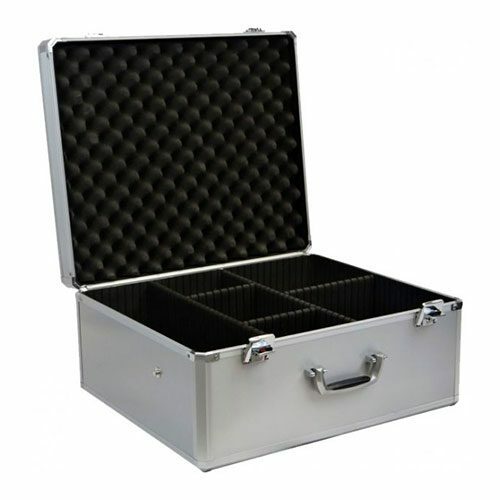 Includes 2 removable layers of pick and pluck foam in the base and protective egg-box foam in the lid. 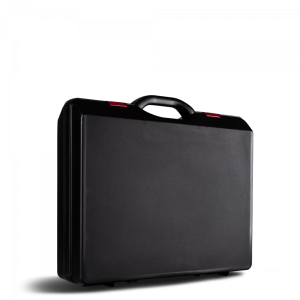 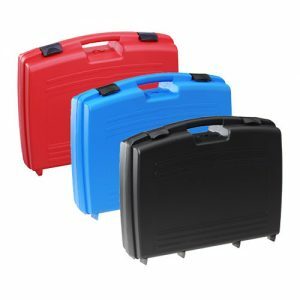 This case also includes a set of adjustable partitions and a removable shoulder strap.